For Love or Money: Why can’t you have both? While my plumbing issues are being resolved, let me get back on track with my blog about publishing, and all the fun and not so fun experiences into self-publishing … and a bit of self-discovery along the way. Years ago, before my grandfather passed away (because it would be quite odd if my beloved grandfather spoke to me while he was deceased), he told me to find a career that I loved, because I would spend the greater part of my life there, and I should look forward to being there. Otherwise, my job would be my prison, and I would never be happy. Of course, as my grandfather, he wanted me to not only succeed financially, but also in personal and emotional well-being. He was a very wise man. So here I am, two decades later, pondering his words. Which only lends to the fact that words are timeless … I write words … therefore writers are timeless. There goes my theory on needing some cosmetic surgery soon. Recently, I have come across several blogs, Facebook posts, Twitter thoughts, and general conversations in which a writer will say, “I’m doing it for the love of writing. Not the money.” My face usually scrunches up like I just ingested a juicy lemon. You all know the face. We laugh when babies do it at their first taste of a lemon. Well, I do that face. Why? Because when I go back and read previous blogs, posts, or delve deeper into a conversation I hear the exact same thing, “I don’t know why my sales aren’t higher. I can tried every marketing strategy and publicity stunt imaginable.” They have used free promotions, giveaways, called every friend, and spammed every social media site they belong to. And, like me, they do a daily stats check. With so much work going into making sales, I wonder if writing is purely for the love of writing? Now, I have been very honest in declaring to the public that I would not scoff at making a million. Case in point, I tried my hand at the Mega Millions last night, and I rarely gamble hard earned money. And as a nurse it truly is “hard earned” money. Well, I didn’t win! But I thought, what would I do with $400 million (estimated cash payout). Would I quit my job? Abso-freaken-lutely! I mean, you have to ask? But I wouldn’t stop writing, because I would have the financial backing to write full-time. Then, and only then, would I be able to say that I write for the love of writing. But until then, I write because I love to write and it brings me great joy, comfort, and a sense of accomplishment and internal zen, but it takes a back seat to the job that pays the bills … the one I enjoy, but can’t say I love in comparison to writing. So I do write for the love of it, but still hope that my love brings me financial compensation so I can do it full-time. I have said before that I do not need to be a Mega Millionare and deal with the problems that the root of all evil brings. What I want is to be able to pay my bills on time, be debt free, send my kid to college, and have money put away for a rainy day (as in raining through the first floor ceiling in a two story house … 😦 ). Does that make me a bad person? After reading other things and talkin with people who say they do it for the love ONLY, I feel like a complete heel for wanting to make some income off my interest. One person was appalled at my revelation and clearly stated the fact that artists work purely for the love of their art. So what you are saying is that if one is endowed with the great talent of having an artistic ability, they should perform their art strictly for the love of it. So that’s how they came up with the term, “Starving artist.” I get it. My rebuttal: Do you love what you do? My rebuttal: So why don’t you do it for free? My rebuttal: So that makes you a servant to the public? So why do you make so much money? As a person who definitely has an infinity (oh, I get wordy when trying to make a point) for their job, who can be considered a master of their (air quote) art, then aren’t you giving in to the all mighty dollar? Friend (see how that has changed): I hope you make a million. In closing: I hope you all continue to do what you love, whether it be nursing, singing, gardening, public service, or writing. And I truly hope that what you love brings you happiness, but that you can also live comfortably (I didn’t say driving a Lambo, unless comfortable for you is Italian engineering) doing exactly what you love. I hereby give all artists permission to not only do what they love for the love of it, but to also be able to say, “I’d like to be able to make a living off it, too.” Now I gotta go check my site stats. My intention for this post was to write about, “For Love or Money,” a look into why people write and publish their works. However, after the horrific day I had yesterday, I choose instead to rant about the silver lining on clouds, or light at the end of the tunnel. You see, this week started out just fine. I had a fifty-two hour work week, which meant 12 hours of overt time, and a nice juicy paycheck, and the opportunity to pay off a high interest credit card. Well, I was sent home 3 hours early on Monday, and due to oversight, lost three hours on Tuesday. No matter, still end up with 6 hours overtime. Except, while sitting with my patient in recovery yesterday (I’m a recovery room nurse, by the way), I received a phone call from my mom. When I went to lunch I returned to call to find out water was pouring from her light socket. Pouring! Not that a trickle would be any better. Raining from the ceiling is bad. Raining from the first floor ceiling where there is a bedroom above that ceiling is worse. Finding out the upstairs bathroom is flooded for unknown reason is not looking any better, and I wonder where the heck that cloud with the silver lining went only to discover that light at the end of the tunnel is a train coming at me with full verocity…and smack…over $2,000 later, I am short money, shorted hours at work, using a high interest credit card to pay a deductible, searching for a plumber and electrician, and praying the cause of the damage is covered under my insurance policy. If it is not, we can certainly tack on much much more money to that $2,000 deductible, which after 27.99% interest, paid over, oh I don’t know, let’s say two years, will turn into a $4,000 bill. Where is the silver lining? Oye! I have been fortunate enough to have not suffered a migraine in two months, but my left eye is twitching, there is pain just above my left brow, and my neck is stiff. What’s better is that I have to go to work today while somehow searching for a plumber, electrician, and following up with my insurance….and wait….is that a light at the end of this dark tunnel? Here is my simple, but humble request to God. I do not need a million dollars. I just need for a series of unfortunate events to not collaborate all at once. I do not blame you. I blame the plumbers who put my home together. But if you can raise a man from the dead, make blind to see, and heal leapars, than surely you can fix a pipe and stop the raining from inside the house. I thank you for the rain we had last week. I have beautiful pink flowers on my Peach tree today. But showing your divinty by creating rain inside the house….well I applaud your showmanship, but kindly request that the water recede without any mold or further damage to the electricity. I also ask that you show me what the silver lining in all this is. And maybe send a very cheap but good plumber my way. This may sound like a complaint being lodged, it is not. All i’m asking is that maybe you show me why this is happening and what good will come of it. I am hopeful despite my rant and believe you have a reason for everything. Thank you for my family. For providing me with a job (but selling books and being a fulltime writer is good too, hint hint). Thank you for the health of my family and watching over them. And thank you for the little pink flowers on my peach tree that have bloomed despite my ignoring it all winter. That night he stayed awake, a million thoughts buzzing through his overloaded head. Was there life after death? Would he see Shannon and Holly again? Would Travis care? Was he a good man, a good father? Did he have any unfinished business? Should he take that trip to Paris that Shannon used to dream of? Would he take any memories with him? How long did he have to live? As a surgeon for nearly three decades, Lou Gehrig’s wasn’t a disease he knew much about, and he found himself researching it at great length now. At the bleak end of the spectrum, he had months, according to the official ALS site. At the longer end of the spectrum, he had a few years … but which did he want? He tried to concentrate for an answer, but the more he tried to focus, the more wild, unruly thoughts seeped in. Would it be better to simply take the matter of his death into his own hands and die when he wanted, on his terms? The last thought took him back to the garish day of Shannon’s death. No, he couldn’t leave Travis that way. He shook off the thought and cursed himself for ever thinking it. No matter how hard he tried, there was no way to stay focused on only one issue. This is Jack shortly after he discovered he was dying from Lou Gehrig’s disease. I’m not spoiling anything by telling you that, it’s on the dust cover, and the premise of the story. So no inside information there. What I wanted to do in this late night scene was allow the reader to get into the head of a man who was dying. Does he only think of death? Does he think of life? This is pure speculation on my part as the writer, but it is where I take creative liberties, too. This is also a paragraph where the original editor and I bumped heads. It was felt that I did not have enough of his thoughts in the paragraph, to which I agreed, so I added a few more. However, I did not want to go overboard because I felt it could have been too wordy. Apparently we didn’t agree, and thanks to independent publishing, I was able to stand my ground and retain my creative authority. Makes me wonder if I really ever want to go mainstream. I was also asked why a surgeon would have to research ALS disease, and to rethink my stance on stating that he looked up the disease. We really didn’t see eye to eye on much of the medical aspects presented in the story, which leads me to believe the editor never had a career in medicine. I don’t care how much of a world renowned surgeon, top medical doctor, or well rounded nurse a person is, they do not know everything about everything…unless that is their specialty. In Jack’s case, he is a plastic surgeon…not a neurologist or genetisist. I would not expect a neurologist, obstetrician, gynecologist, or cardiologist to know everything about end stage renal disease, just like I don’t expect a plastic surgeon to know everything about Lou Gehrig’s disease. With that, I again left that part in, because, in my opinion, it does make him more believable. I hope I was right in that decision, but I stand by it and would be willing to defend it. So happy reading. Hope you enjoyed my very tiny Sneak Peak Sunday, and keep an eye out for, “Be Still,” this spring. First off, I know it is Sneak Peak Sunday, I will post that in a separate blog. In this one I would like to toot my own horn about a few very small milestones. But its the milestones that make the journey memorable. First off, thank you all who have click through the link to watch my book trailer on YouTube. 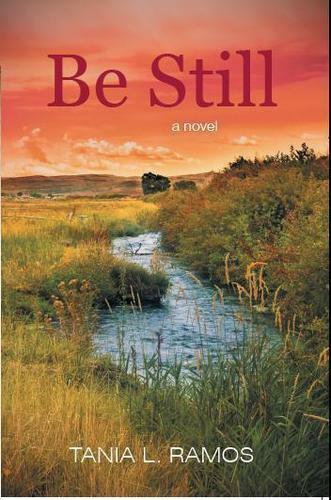 If you haven’t seen it, then please click through and please, please share the Book Trailer for, “Be Still,” coming out this Spring 2012. It is sharing that makes word-of-mouth so valuable, and the easiest and cheapest form of advertisement. As a nearly starving writer, I need all the free publicity I can get (or afford…and I can afford free). So my YouTube milestone is that I have hit 100 views. As an unknown, I am proud to have hit the 3 digits. My next big milestone is with my first book, “When I Thought I Was Tough,” that is a raw self-publish on Bookemon.com. Again, I think this a great website to publish through, but does not offer any resources whatsoever. I am proud to say my first book was published here, and that in this venture I learned so much. Bookemon will forever be my first milestone into writing and publishing. I wish my external harddrive wouldn’t have crashed, because I would love to go back and be able to edit this book with everything I have learned to this point. But again, my own shameless plug (because I’m certainly not ashamed of this book), is that “When I Thought I Was Tough,” can be read for FREE through the link. My milestone is that I am now over 1500 reads on my book. And that says something, in my opinion. So again, please read the book, pass on the link, and hit the like button, or sign up (it’s free), and make me a favorite. Also click the share buttons and send the link to your social media. My third milestone is again with my first book. I have ranked as one of the most liked book on Bookemon.com. My book is now featured on the home page. Woo hoo! I am also fifth on most read, and I believe eighth on most liked, and fourth on most favorite. I am moving up the ranks, only behind book swritten by high schoolers who have their entire high school reading them, but I digress, because those are talented kids who have accomplished more in their teens than I did in 37 yrs. So kudos to those kids, but also props to me for realizing a lifelong dream. As for my new book, “Be Still,” I am waiting for final word from the editor at Iuniverse, but I am getting the word out. I have passed out countless business cards to people at the local bookstore, have discovered there is a high Desert Chapter of a writer’s group out here in Podunk, and recently-by chance-met a librarian with an affinity for reading, who vowed to tell everyone she meets about my book and how she met the author while getting ready for surgery. She calls it her, “chance encounter.” Sounds very distinguished. So thank you all for sharing in my milestones, and being a part of my small victories on the road to building my career as an author who can write for a living. And don;t forget to look at my recently updated website at www.TaniaLRamos.com. Have a good week everyone. Every now and then this happens, and really hate when it does. I call it writer’s ADD. It’s that time when in the middle of writing one book another idea embeds itself into my mind. It doesn’t always happen while I am writing, today it occurred during my drive home from work (I decided not to spend the entire day at work by the way, so I can come home to my beautiful daughter). So there I was sitting on the horrible intersection at Hesperia Rd and whatever intersects Victor Valley Community Hospital, at a four way intersection. This is one of those busy interections with a four way stop, and inevitably all four cars come to the stop at the same time, so nobody knows who goes first, and you end up sitting there for five hundred hours doing the stop and go thing…same as all the other cars. I usually put my hand over eyes so people know I’m not going into the intersection, though I feel that some people think I’m just being so defensive that they think I am going to be that kamikaze driver who pulls through with her eyes closed, thusly making all other motorists stop. It’s a brave idea, but far too brave for me. What’s the point of my four point intersection story? The point is that in the middle of my internal dialogue between characters on the story I am working on, and while hiding behind my hands at the intersection, this new Hunter Hays song started playing on my satellite radio and in the middle of the hustle and bustle the characters arguing in my head fell into an entirely different story line. I don’t even know how it happened, but they were, falling into some new sorted plot about people who can’t live without each other. Now, I think it had to do with the words of the song, mainly, but when I started developing the plot further I thought, “Wow! Very uniquely Benjamin Button.” Of course it has nothing to do with, “The Curious CAse of Benjamin Button,” but it did have that oddly, “what if,” type of feel. Not quite science fiction, not quite general fiction but some beautiful medley of the impossible being met with a, “perhaps.” Okay, so it is very difficult explain, but something worth taking a gander at. Now this why I have taken years to finish a book. because in the middle of one novel idea comes something even more grandiose and wonderful, which makes me want to ditch my current project to take on the better idea. The current idea. the fresh and inspiring idea. Darn you creatively ADD mind for finding inspiration in even the smallest of things, like an intersection with some country song playing on the radio. So, what I have to do is come home and type the idea in a very skeletoned state just so I remember the premise of the idea, so I can get back to it. Except these characters seem to have very alpha personalities and are quickly out shining my current, amazing characters. What a tangled web my mind weaves. I mean if my thoughts were spider webs, my mind would look like Disneyland’s Haunted Mansion complete with spider webs, cob webs, and dust bunnies, not to mention strange voices erupting from dark places. Its all so very macbre and Hitchcock-ish…but I do cherish every sinister moment of the tangled webs. In my quest to become a better writer, I vowed to get back into reading. As I wrote in my last post, after an impromptu visit to my local bookstore, I picked up James Patterson’s ,”The Christmas Wedding.” I also picked up another little book called, “The Elegance of the Hedgehog.” I’ll review that book when I finish it. So many of you know that PAtterson is my chocolate. He is my comfort when I need a good cry, a good plot twist, and sometimes just good old fashioned adventure. 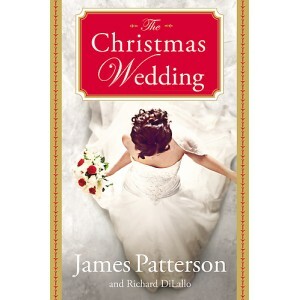 Many people saw my book at work and had the same perplexed reaction, “Patterson writes romance?’ Yes he does. And he does it very well, by the way. He is as intense about his romance as he is about his thrillers and young adult novels. Although I enjoyed reading this book I would highly recommend another book of his called, “Suzzane’s Diary for Nicholas,” talk about a tear jerker. This book, “The Christmas Wedding,” is a fast paced, fast moving novel that tells the story of Gaby and her grown children. Gaby is getting married on Christmas day, but she hasn’t revealed to whom. there are three suitors, all very dear friends. The story follows the events that lead up to her wedding, and the lives of her children leading up to that day. She doesn’t reveal who she will marry until the very end, and I am disappointed that it wasn’t as big a twist as I thought, but it held my attention none-the-less. There was one surprise on wedding day, and the sap that I am, brought me to tears…but it had nothing to do with Gaby. All-in-all. this book moved very fast. I read it in two days, maybe a total of five hours, probably less, but I do read fast. This book isn’t as detailed as his YA books or thrillers, and think he chose to infer more rather than give outright details. I suppose that is fine for a romance novel that is more dialogue than wordy substance. My big complaint with the book is in the character of Gaby. Whereas her children are all given very believable and real personalities, I just found it impossible to believe that Gaby was without flaws. Without fault. If anybody was that perfect then I would and could understand why she would have three proposals. But Gaby is faced with many challenges brought on by her children and grandchildren, and not once did she flounder. Each and every time she came through like a champ. In my life, and maybe it’s just that I don’t live in a perfect world, but people around here have opinions. Sometimes loud, sometimes cynical, usually sarcastic, but no one is as wonderful as Gaby. I read in someone’s blog (I can’t remember who, sorry), but they said nobody wants to read about the perfect person. We want to read real life, real personalities. I loved this book for the fact that James (Mr.Patterson to you readers who don’t like chocolate), held my attention from page to page to find out just who Gaby was going to marry. I did not like that Gaby was so pristine. My overall rating would be 3.5 out of 5 stars, only being decreased due to the flawless main character and lack of amazing ending. I would recommend reading this, but I would still recommend, “Suzanne’s Diary for Nicholas,” much better. Visit me at Goodreads to see what else I am reading. Stupid book that sounds just like mine! Maybe it’s just me, and I’m writing this staring at a clock, knowing I should be getting ready for another fun filled day at the place that pays the bills … but, does anyone else out there in the literary world get a bit peeved when they come across a book or movie that is almost exactly your idea? Okay, I told someone at my job about my book and gave the elevator pitch of the story line and she says, “have you read …” So she pulls up this book online and I read he jacket and HOLY MOLY!!! It’s my story line. And I mean almost verbatim, with the exception that I my underlying undertone is not about a wolf pack. However, seeing this book did send some primal, animalistic reactions into my psyche. I found myself defending my book, like a mother defending a child who was just slandered. I had my, “oh no you didn’t,” face on, and the shoes and earrings were about to come off. Okay, so that was sooo last week (By the way, how many “o’s” do you put in so of you want to drag out the point? Is there a standard?). Okay, so yesterday, because my car was almost smashed by a big rig and some jerk who pulled in front of the big rig and cut me off, I was forced to make a left hand turn into our small mall. Oh, well, I took my lumps and pulled into the Barnes and Noble to scope out the competition and pick up a new book (I vowed to be a good writer and start reading again). As I entered the store, there it was, right smack in my face like some big neon sign that read, “Ha ha. I made it to the front rack at Barnes and Noble. Where’s your book that is significantly so much like mine.” I know its a lot to be on a neon sign, but I swear that’s what the sign was showing me. So I did what any other writer in my position would do…I turned her book around. Sigh. Shallow? Probably, but don’t judge me lest you be judged. And don’t throw stones at my glass house unless you want some shards to fly your way. Anyway, before I walked out of the store I turned her book the right way…stupid morals and proper upbringing. I do have to say that this has really bore a hole in my creative soul. I am trying so hard to realize we did not write the same book, and that every story has already been told….now it’s a matter of making it better, adding a twist, or whatever makes it genuine. But there are so many similarities, and now I feel like people will look at my book and think I copied off the New York Times Best Seller chick. I feel substandard. My dreams have been stomped on…but maybe, just maybe….Maybe I wrote it better. Maybe my characters are more believable. Maybe my story line excedes hers. Maybe…oh, well. I was almost fit to never buy another book again, but I did what I said I wouldn’t do because buying A James PAtterson book is my chocolate fix. So I bought his latest romance novel, “The Christmas Wedding.” I read his jacket that states he is in Guiness Records for selling the most books ever…240 million, and so I wallowed some more while I turned each page wanting desperately to read the last chapter and find out the big mystery. STUPID JAMES PATTERSON, master of the page turner, even in a romance novel. Yes he is my chocolate, but I’m always left with some guilty, inadequate feeling after, like I need a shower to bathe of his wonderfulness that I basked in more a spell. Anyway, I’m still boycotting that other book, and if push comes to shove, and I end up in Barnes and Noble again, so help me, this time I will turn her books over and walk away with a clear conscience. I’ll do it, too!